AKIPRESS.COM - According to the World Health Organization, tobacco industry annually spends tens of billions of USD worldwide on advertisements, promotion and sponsorship of tobacco goods. Sale of products killing up to 50% of consumers requires exceptional marketing skills. Tactics of tobacco companies aim at “normalization” of the tobacco, creation of an image of the tobacco as a product which differs in no way from other consumer goods, however that is not true, since any other legal product doesn’t lead to early death of its half of users when it is used as intended. Since tobacco epidemic is decreasing in many advanced countries due to effective anti-smoking campaigns, now tobacco companies are targeting the developing countries including the Kyrgyz Republic, said the experts of the National Institute for Strategic Studies. According to the World Health Organization, 14% of annual deaths in Kyrgyzstan are caused by tobacco use throughput 30 years. Economic cost connected to non-infectious diseases caused by smoking in the Kyrgyz Republic is 17.5 billion soms, besides annual losses from cardiovascular diseases caused by tobacco exceed 10 billion soms and keep going up. Direct and indirect advertising of tobacco and tobacco goods are banned in the Kyrgyz Republic (the Law of the Kyrgyz Republic on protection of health of citizens from harmful effects of tobacco as December 25, 2009) as in many other countries. According to opinion poll conducted in Bishkek universities concerning evaluation of tobacco ads impact, it became known that almost half of respondents faced tobacco goods ads during last 30 days (this is striking illustration of direct violation of current law). 23% of respondents saw cigarette ads, 13% - hookah, 7% - both of cigarette and hookah. According students reports, most frequent sources of ads are stores (23%), TV (19%), Internet (11%), billboards (10%), newspapers and magazines (10%). Students also told that they saw free distribution of cigarettes and free offers of hookah, as well as productions labeled with cigarette trade name or logotype representing tobacco goods promotion. Students were asked about their awareness on ban on advertising of tobacco and tobacco goods and their attitude towards the law. Less than 20% of students knew advertising of tobacco goods is banned , at the same time 86% of students want any advertising of tobacco and tobacco goods to be banned. 85% of students think advertising of tobacco and tobacco goods leads to or might lead to increasing number of smokers, in particular 28% of smoking respondents said that they started smoking under the impact of ads of tobacco goods. High prevalence of tobacco goods consumption, especially cigarettes (29%) and hookah (13%), is observed among students. Findings revealed inefficient control over implementation of Article #15 (promotion of tobacco goods, advertising, sponsorship of tobacco and tobacco goods) of the Law of the Kyrgyz Republic “on protection of health of citizens of the Kyrgyz Republic from harmful effects of tobacco”. Findings of investigation are matched with data collected while public health specialists poll, whose professional activity has to do with or might impact to campaigns against smoking. 10 experts were questioned in total. Experts unanimously (100%) agreed that advertising of tobacco goods lead to increasing the number of smoking people, and ban on tobacco ads is necessary in the Kyrgyz Republic. At the same time, all experts (100%) said they witnessed tobacco promotion, advertising, sponsorship activities. According to experts, hookah is most frequently advertised tobacco good. It was indicated that tobacco goods promotion have place in films shown on TV and other mass media not as advertising, but as so-called popular-science or op-ed articles, which doubted negative impact of smoking. Experts say tobacco goods are advertised in supermarkets through colorful designs of their placement. Tobacco companies are sponsoring various events. Findings of both investigations revealed hookah consumption is no less harmful than cigarette smoking. Fatal effect of hookah is contained not only in its smoke’s harmful effects caused by burning of coal and tobacco (which is characterized by high concentration of carbon monoxide, metals and carcinogens), but also in that fact hookah is reservoir for dangerous microorganisms, including causative agents of aspergillosis, tuberculosis, flu, herpes and other infections dangerous for human. But despite that, the Law of the Kyrgyz Republic “on protection of health of citizens of the Kyrgyz Republic from harmful effects of tobacco” doesn’t mention hookah, this indicates for need to accordingly improvement of the law, to design and application of measures against hookah use prevalence. It should also be taken into account that there are hookahs in Kyrgyzstani market represented as harmless. But, studies indicate smoke from such hookahs is saturated with carbon monoxide and other toxic materials raising risks of promoting diseases connected with smoking, including cardiac and lung diseases. Tobacco advertising must be banned. One more section must be improved is an Article #15 (promotion of tobacco goods, advertising, sponsorship of tobacco and tobacco goods) of the Law of the Kyrgyz Republic “on health protection of citizens of the Kyrgyz Republic from harmful effects of tobacco”. Section must provide outright ban on direct and indirect publicity of tobacco and its goods, because at the moment, Kyrgyz anti-smoking law allows to place advertising material in tobacco goods sales area (besides, “Advertising material must have a size not more than 2000 sq.cm. Each advertising material must be accompanied with medical warning and occupy not more than 40% of advertising space”), this situation contradicts to international recommendations. 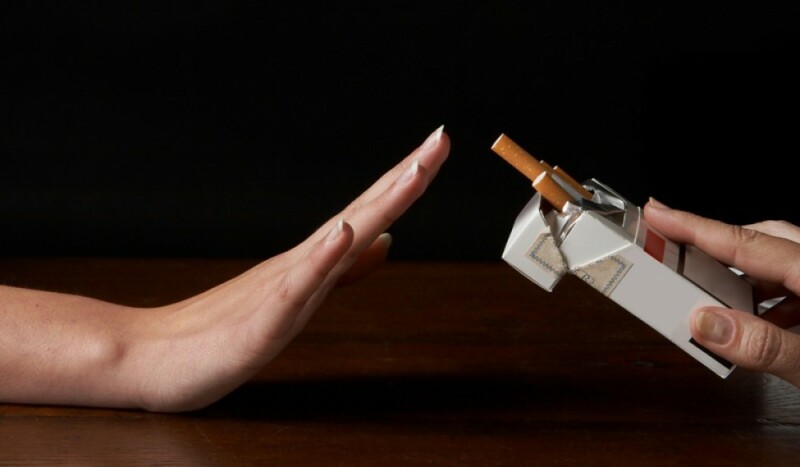 In general, it should be noted that the Law of the Kyrgyz Republic “On health protection of citizens of the Kyrgyz Republic from harmful effects of tobacco” was accepted in proper time and based on international recommendations, but at the moment, to reach good results law and its regulations must be improved, and most important is to make it be in force. Today, consumption of tobacco goods is very high, and tobacco companies are freely defying ban on advertisement of tobacco and this situation is favoring for further growth of tobacco use, consequently for increase of morbidity and mortality in the Kyrgyz Republic.